While magnesium is generally safe, one of the most common side-effects of taking a magnesium supplement is diarrhea. Why can magnesium cause diarrhea? It can happen for a number of reasons, such as a poor quality supplement or taking way too much. Fortunately there are ways to prevent this uncomfortable problem from happening. 1 Why Does Magnesium Cause Diarrhea? 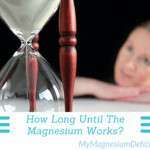 3 How Much Magnesium Do I Need? 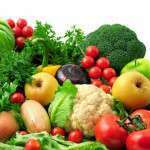 4 How Do I Increase Magnesium Absorption? 5 Your Turn: Does Magnesium Cause Diarrhea For You? Why Does Magnesium Cause Diarrhea? Magnesium is a mineral, and when taken as a supplement one of its properties is that it tends to attract water. When unabsorbed magnesium reaches the intestine or colon it can attract water from nearby tissue through osmosis. This can stimulate the bowels and give you the urge to go. If too much unabsorbed magnesium reaches the intestines then you can end up with diarrhea and cramping. Not everyone who takes a magnesium supplement gets diarrhea though. As I mentioned, diarrhea is the result of unabsorbed magnesium reaching your intestines. Ideally you want all of the magnesium you are taking to be absorbed by your body rather than leaving again through diarrhea. 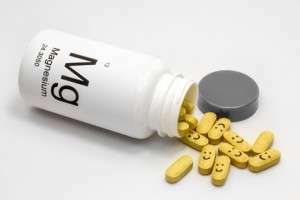 If you can find a type of magnesium that your body absorbs well and then take just enough to make your body happy then you should be able to avoid diarrhea entirely. The Recommended Dietary Allowance (RDA) for magnesium is roughly 300-400mg per day for the average adult, though it varies based on age and gender. While many foods are enriched with calcium there are few that have added magnesium. Also, the common farming practice of overusing soil can reduce the magnesium content of our food over time. This means it can be tough to get enough magnesium from food alone. The key is to add enough magnesium through supplementation to get you to the 300-400mg range based on the foods you tend to eat. If you are getting enough through food alone then are doing well! You can click here to see some foods high in magnesium. Based on these numbers you should be able to get a rough estimate of how much magnesium you are getting from food each day. From there you can try supplementing a small amount of magnesium and work your way up. How Do I Increase Magnesium Absorption? So how do you improve absorption? First, don’t consume all of your magnesium in one sitting. Instead take supplements in smaller doses over the course of the day. Next you can try taking magnesium on an empty stomach in order to prevent the fiber in food from binding up the mineral and preventing absorption into the body. Lastly, take a better quality magnesium supplement. There are a lot of different types of supplements out there and they vary a great deal in their quality and absorption properties. Magnesium Oxide in particular is very common yet I found it to be the worst when it comes to diarrhea. For me, Magnesium Glycinate worked wonders, letting me take the magnesium I needed while not giving me diarrhea. Your Turn: Does Magnesium Cause Diarrhea For You? If you have experience with magnesium making you go, and especially if you have a found a way around it, please let us know in the comments below! Bisglycino-Mg by Vita Aid was given to me by my naturopath and I find it to be the best out of the ones I have tried so far for anyone looking for a good quality magnesium. No diarrhea but an increase in stools and urgency. I eat two before bed but talk to your doctor about what the right dose would be for you and your body but its actually helped my TMJ – Jaw clenching and as well anxiety but I also take ashwaganda which has been helping also. 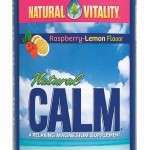 I’ve starting taking “Calm Powder” from natural vitality and it helps me get to sleep and relaxes me, but the diarrhea I am beginning to have is horrible. It makes me sad because I like it other than the diarrhea. A 2 teaspoon serving has 325 mg of magnesium. I take 800 mg of magnesium Oxide every night with calcium, D3, and 10mg melatonin. My bowels are just right and I fall asleep right away. My only problem I have is waking up early. I can live with that. Constipation I cannot live with. i took 500 mg of magnesium oxide for constipation once a day at night and it made me regular. i loved it. the brand was Vitacost and its not expensive but only available online. i recently tried a different brand because i didnt want to order online and it was horrible! i got bad diarrhea so i learned that brands matter. Yes, it does. I take 1000 as directed by my Neurologist for help with migraines. It does help with the migraines. I also have Sjogren’s that causes AWFUL constipation. I was having to use Miralax every day as directed by my Rheumatologist. I wonder if I kicked it down to 600 and probioitics if I could still keep the migraines at bay but still use the potty with any regularity? Should I take the chance or just keep taking the mega dose of magnesium? Do you take all 1,000 at once? What type of magnesium? Yes it does cause this for me. But I was told to take 1000 because I have a deficiency. It usually only happens first thing in the morning. I just thought it was also helpful for me to lose weight. Is it harmful? The problem with chronic diarrhea is that it doesn’t allow your body time to absorb many of the nutrients that were in the food or supplements you ate beforehand. This can cause deficiencies, and if you are taking vitamin/mineral supplements, for example, you are wasting your money by flushing them out before they can benefit you. Have a home in the Bahamas with a well .Only drink bottled water from local water factory ,but have diarrhea every day sometimes three times a day and never know when .Not fun …found out that we have HARD WATER and is too full of minerals .Anything I can do about this ,we drink lot’s of water all the time to stay hydrated . Add two teaspoons of baking soda to each gallon of hard water. It alkalizes it and will make it better. I think many of you are self-medicating without working with a doctor. Magnesium, while a “natural supplement” is a powerful chemical that works on neuro-transmitters and other complex nervous system functions. It’s great for migraines, cramps, sleep, anxiety, and much more, but you can really get your chemistry out of whack with it only, let alone taking it with other patent or OTC substances. Diarrhea itself can be a very dangerous side effect with bad long term damage. Spend the money, use your insurance, but see a doctor at least for a consult on using this. I take it for several neuro issues from having polio as a child and it’s fantastic for a variety of related things, but not “willy-nilly” without a least a little professional advice. Great point David. Similar to you, it was my neurologist that recommended magnesium – I did not start it on my own. Everyone should talk to a doctor first and not try to self-diagnose. On paper your suggestion makes perfect sense but the reality is, 95% of doctors don’t have a clue about magnesium. If you’re fortunate enough to find a good functional or integrative doctor in your area, then I agree it makes perfect sense to seek a doctor’s help first. The problem is, these types of doctors are extremely hard to find – especially if you live in a rural area. As a result, we’re left to be our own doctors and experiment on our own. Fortunately, unless you have a kidney problem, magnesium is pretty safe to “experiment” with as long as you’re not over doing it. I wish every run-of-the-mill family doctor was well-versed on supplements like magnesium. It would make life so much easier. Unfortunately, they are not. This is absolutely true. I’ve been getting insane migraines, anxiety, depression, insomnia and NO ONE put the clues together. Then I got the stomach flu 3 weeks ago, got dehydrated and the ambulance showed up just as my body went into a full spasm. My wrists turned in, my feet turned under me and I had no control over it. My magnesium was super low when they tested my blood. I’ve been taking 600mg of chelated Magnesium at bedtime and I can sleep! I haven’t had diarrhea yet, so I was suggested to go up to 800mg and see if I can tolerate it. I need to take the most that I am able for about 6 months to try to build some stores up! Magnesium is amazing stuff and I feel so much better already! I heard that if a Dr checks your magnesium level they check it with a blood test. I also heard that if the body has a magnesium deficiency, the body will pull it from the bones or wherever else it may be to keep the levels up in the blood. So the blood work will most likely show no deficiency even though you are. Show me a Western trained doctor that knows “thing-one” about nutrition and I will believe in the existence of unicorns! Not sure anyone mentioned this already. Worth researching / testing on yourself: Epsom Salts baths. Mark Sisson would talk about this probably. Certainly I remember him linking out to a science study (as he always does) that suggested transdermal absorption is likely. Our grandmothers knew some stuff, right? 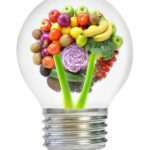 I have epilepsy and heard that people with epilepsy have too little magnesium. I take a lot, but I recently heard that too much magnesium is bad for kidneys. Is this true,? I am taking Magnesium tabs 2 x daily 1000 MG. and have had diarrhea every day for over a month. Usually in the morning and then I am OK. Sometimes another time of the day as well. I am taking an anti-diarrhea med (OTC) to counter it every other day but sometimes I cannot go more than one or two days with the OTC med. Is it too much Magnesium I am taking? You might be taking too much or the wrong kind. Just 5 mg for every pound of body weight. So if you weigh 200 pounds you would take 1,000 mg. ONCE a day, not twice. Magnesium Citrate causes Diarhea but there are other kinds. My doctor, who is a magnesium fan for sleep, anxiety, depression, restless leg, muscle cramps, and more says: start with 400 mg magnesium glycinate and if no problems with diarrhea, go to 800 mg. If 800 is a problem, go back to 400 and stay there. She recommends more than 800 mg/day. However, she tells me that for maximum effect, one should increase the dosage until diarrhea is daily, then back off until your stools are normal. Then stay at this level. She prefers one take it in the evening, but with multiple tablets, taking 1/3 to 1/2 of the total in the morning is OK.
Hope this helps … sounds like you are taking much too much..
Do you take 400 of ELEMENTAL magnesium or 400mg total magnesium. Please let me know. Thanks. If you take calcium along with the magnesium it’ll counteract the diarrhea. Magnesium oxide is known to cause diarrhea more than any of the magnesium types. I took magnesium citrate 1300 mg and never had a problem but I now take 500 mg of magnesium oxide and it gives me diarrhea if I dont take calcium. The Citrate did not help me sleep but the Oxide does. So you can either change the type of magnesium you are taking or you can counteract the Mag oxide with calcium. So if you take 500 mg of mag oxide then take 500 mg of calcium. From what I read on the Internet the only people that can have a real problem with overdosing on magnesium is if you have kidney problems because the kidneys cannot flush out the excess your body does not use. But you do want to be careful, you’re dose seems kind of high to me. I suggest doing some research on the Internet. Hope this helped. Im surprised that yoi didnt mention that caffeine / coffee lessens the amount of magnesium absorbed by the gut …so heres a thing – DONT DRINK COFFEE …or have just a little ???? I have been taking Magnesium Malate 100mg 3X day for several months without any problems. Today I added Magnesium L-Threonate 667mg before breakfast and within an hour I was running to the bathroom…..3 times…..
Will my body adjust to this or should I stop taking it immediately??? Just take a total of 5 mg per pound of body weight daily. No more. I take 400mg of lindens magnesium per day, and it is listed as Oxide. My stools are loose and sometimes explosive, so am cutting back and will take on an empty stomach and break up the dosage as advised. If that doesn’t work I will try a better quality pill. Yes…the runs. Had a colectomy last year so am loose anyway. After taking Mg tablet two days this week, I was really runny. So no Mg for me! $30 for this jar and can’t take it? How much did you take in milligrams? I only do 250 mg each night before going to bed since my 4 meds cause constipation ! I recently started taking magnesium 250 mg for migraine headaches. So far it has helped immensely but sometimes it does cause me diarrhea. I have been taking it before bed. Also I am taking a multi-vitamin which has 300 mg. of calcium and 100 mg magnesium. Do I need an additional calcium supplement to offset the magnesium or is this a good balance? Hi, this isn’t exactly the same but I was prescribed Magnesium Citrate from my doctor for constipation, I took some yesterday and about 2 hours after it made me have diarrhea. I couldn’t bare the taste of the Magnesium Citrate so I didn’t take anymore today but yet I am still having to run to the toilet because it has now turned into watery diarrhea. How do I know when I am no longer constipated? And when will the diarrhea stop? And why do I have diarrhea? I know it sounds funny on why I am asking when will I know when I am no longer constipated but it has been so long since everything has been normal I forgot how it feels to not be constipated. I’ve been taking Solaray magnesium glycerinate 400 MG, one daily for a week. Diarrhea every day. Stopped taking. Could this mean I have enough magnesium in my body? Hi! I started taking mag oxide, 1000 mg/day for osteopenia. I also have other health issues that I learned also have to do with mag deficiency, and after 1-1/2 weeks, the R.A. symptoms are virtually gone! But diarrhea set in. At first I thought it was my body being flushed of the excess calcium that has obviously built up, but after 6 days, I switched to citrate hoping to level out. It’s just day 1 so I’m not able to comment yet. Just keeping my fingers crossed. I’d like to be able to find a family physician or orthopedist to assist me in monitoring my rebuilding bone. Any suggestion as to which specialty would best serve me? I have osteoporosis and I see an endocrinologist that does my blood work. You might have your gp refer you to one. I’ve been taking Magnesium supplement 500 mg. for the past week and since then I am having diarrhea bouts every day. The product I am using is from Sundown. Is it maybe that I am taking too much and could that be the reason of the diarrhea? Does it have oxide in it. The OTCs with Oxide will cause diarrhea, according to my doctor. Yes I got diarrhea due to intake of Mg.
Can you tell me if SUPRAVIT is ok?? And also I’m taking iron,vitamin D.
Hi Neha. I would definitely suggest talking to a doctor. Iron in particular shouldn’t be taken without having your levels tested first as it can build up in your system over time. This is not completely related to this article but this is the first post I have seen that was so close to giving me an answer. I am a vegetarian and my diet is naturally high in magnesium. I only recently learned that’s why I have been having so much diahrea. I eat beans, almonds, and veggies like they are going out of style but I am trying to find a way to not cause me so much discomfort. I don’t take supplements. I definitely don’t need them. Is there any way to balance the magnesium? Cut back on beans they are very hard to digest. Try other proteins like quinoa which has a full range of amino acids. I am using magnesium body butter but I think this is giving me diarrhoea, is there any way to stop this? I have been takimg the calm. I take 2 tsp before bed and i love it. It calms me and helps me sleep. But it gives me diahrea. Do you have any suggestions? If i were to switch to the Best and the other one that helps you sleep, wouldnt that be too much magnesium. I really hate having to stop the calm though. When I first started taking magnesium I always made sure I was taking only one kind at a time. This way I could associate any good or bad outcomes with that particular magnesium. It was only later, when I knew how the best and the malate affected me, that I combined them. So whenever I wanted to try a new one I first stopped the old one. The section you discussed covered my questions. Thanks for the information,looking forward to feeling better as I continue to take the calcium. Hello, I have a question that isn’t about this article exactly. Well, would you happen to know if excessive thirst and dry mouth could be symptoms of magnesium deficiency as well? I don’t have diabetes because I have done blood work checking my blood sugar already. I do get low blood sugar when I don’t eat at my right times though. Also, I get the excessive thirst and hunger when it is time to eat. Especially, at night, sometimes I can’t sleep well because of the thirst. I do have other symptoms of magnesium deficiency, but I’m just wondering if thirst could be one too. Hi Gisselle. Dry mouth looks to be associated with a wide range of ailments, and it seems like most medications list it as a side effect. However, I did find something that talked about hypercalcemia, which is when there is too much calcium in the blood. Since magnesium and calcium regulate each other, I could see having too much calcium as maybe indicating too little magnesium. One of the symptoms of hypercalcemia is dry mouth and excessive thirst. Has your doctor suggested a cause of the dry mouth? Did your blood work show your blood calcium levels?